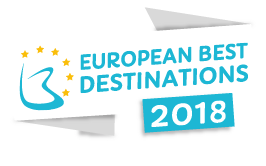 20 trendy destinations have just competed for the prestigious title of Best European Destination 2018. 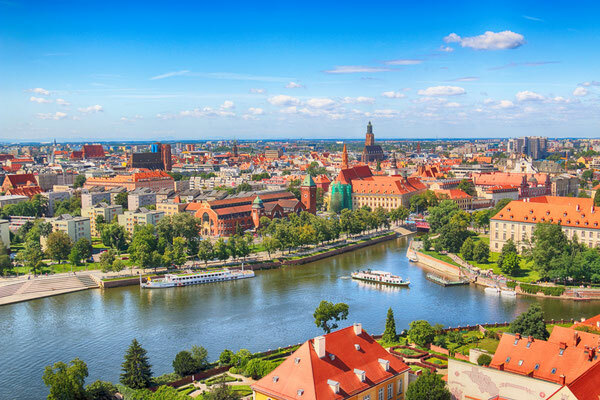 After a three weeks’ period of online voting, Wroclaw was elected Best European Destination 2018 and won this prestigious title! 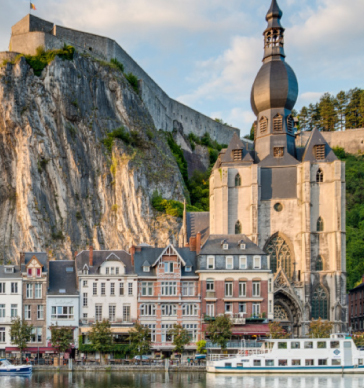 Bilbao, Colmar, Hvar, Riga, Milan, Athens, Budapest, Lisbon, Bohinj, Prague, Kotor, Paris, Vienna and Amsterdam are also among your favourite destinations for a holiday or city-trip. We thank all the participants from Tourism Offices, community managers and the 320,793 voters who made their choice and influenced the result! 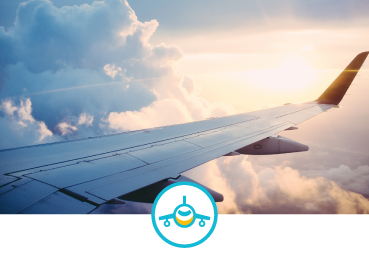 Discover your ranking and travel more often by booking your flight, hotel and your things to do at the best price. 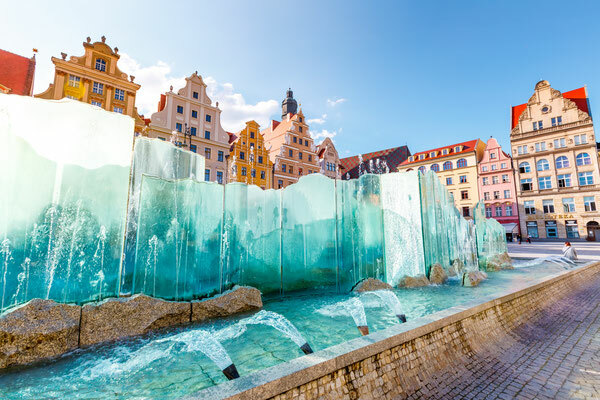 With 41,148 votes, Wroclaw is awarded the title of European Best Destination 2018! This beautiful city, called the "Polish Venice" is surrounded with canals and is dotted with more than 120 bridges that link 12 wonderful islands (among which the Cathedral island). You will be seduced by the incredible charm of Wroclaw, the Market Square "Rynek", its two Town Halls, the Salt Market Square, the Flower Market, the beautiful University, the covered market, the fine architecture of the Centeniall Hall, the botanical garden. You fancy a good lunch ? Have a break at "Piwnica Świdnicka": it is the oldest restaurant in the world! Walk around in "Ostrów Tumski", the oldest part of Wroclaw and fall under the spell of the historical city. 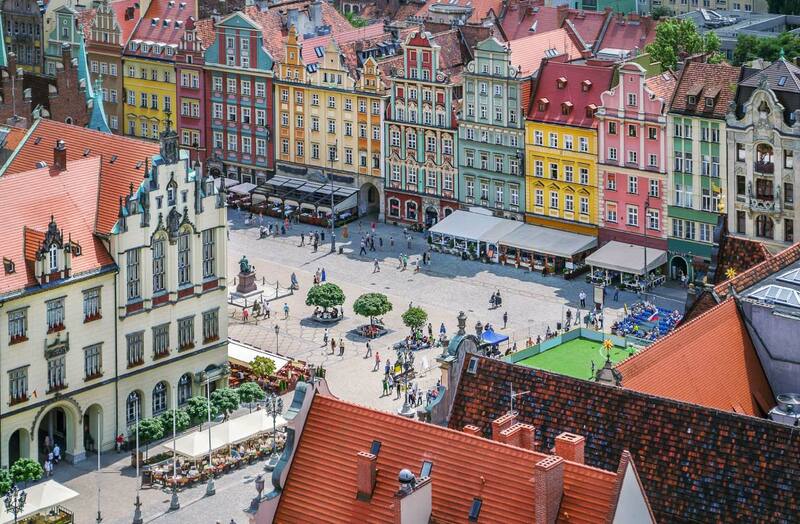 Take a closer look and watch carefully : Wroclaw is dotted with emblematic dwarves. They are all different! Try to find them all: there are 350 of them in the city and there are new ones every year! 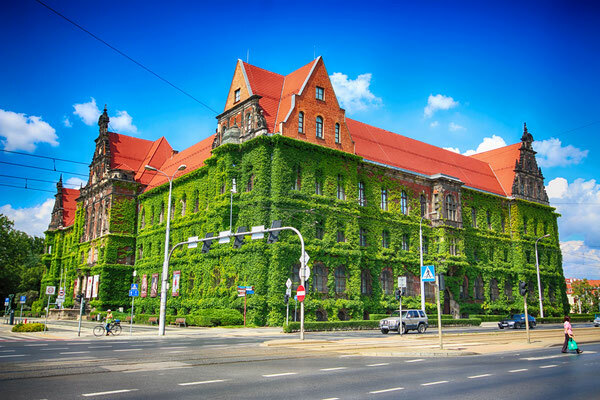 You can also discover Worclaw by boat or in a city tour with electric car. 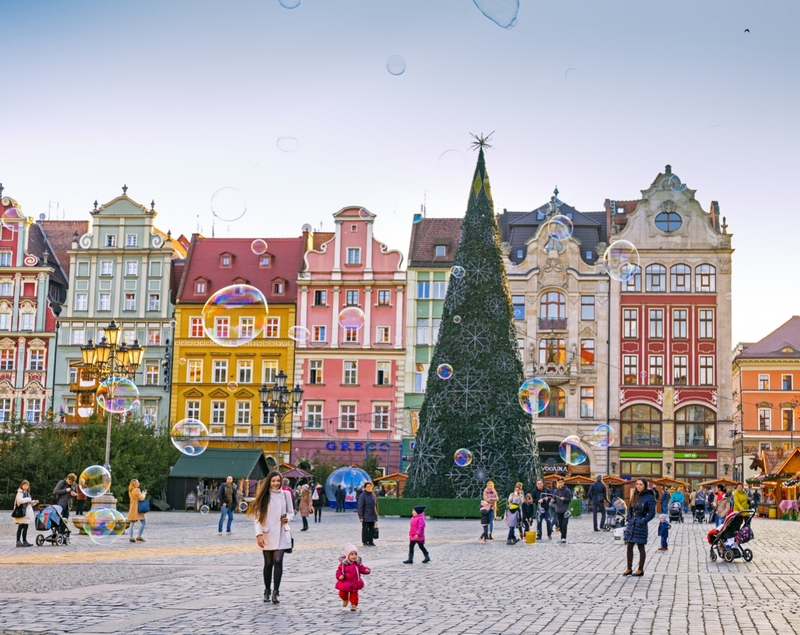 Do not miss the opportunity to discover the best of Wroclaw, its inhabitants! 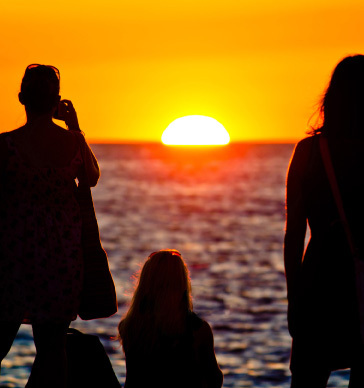 They are warm and friendly and will share their love for their city and its hidden gems. Wroclaw is THE European best destination 2018! 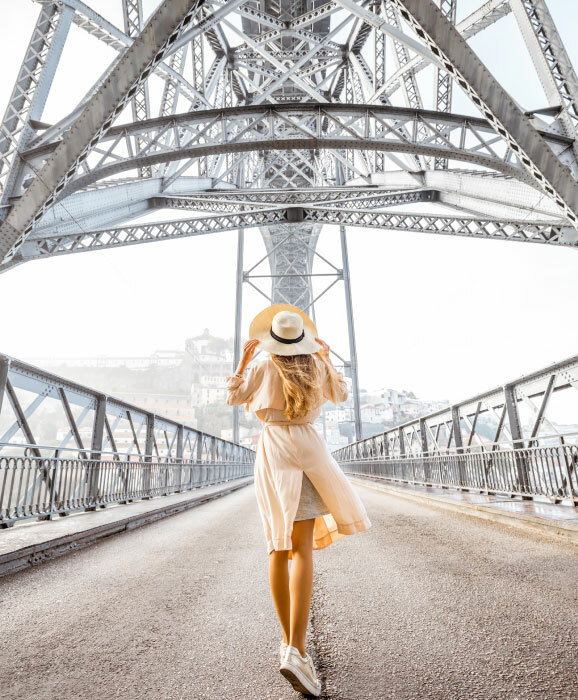 With 39,845 votes, Bilbao has just been voted second best destination at the top of travellers’ bucket list This destination is amazing ; the atmosphere in the city cannot be captured by pictures or words. Bilbao is ever changing, evolutive and open to the world ; unlike many cities in Europe it attracts families with children and grandchildren ; they enjoy the sweetness of the evenings and stroll through the nice streets and alleys of the "Casco Viejo", the historic centre of Bilbao. Bilbao, like Porto and Bordeaux, (awarded best destinations in Europe in 2015 and 2017), is linked to the River and the sea. The gastronomy is fine and the wines delicate. 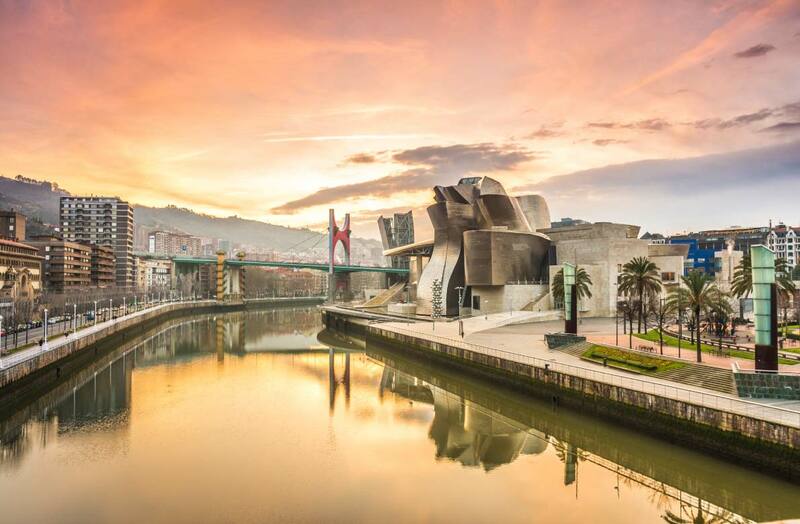 Make the most of your stay in Bilbao and discover its main museums such as the Guggenheim or The Bilbao Fine Arts museum and beautiful landscapes as the Rioja wine region. For lovers of sustainable tourism we recommend the County of Goeirri with its local "Idiazabal cheese". Taste the famous cuisine of the Basque Country after a visit to Guggenheim museum on this Guggenheim & Gourmet Pintxos Tour. Bilbao is also surrounded by charming medieval towns like Balmaseda and Orduna. Do not miss the Basque coast, it is only 30 minutes away from the centre. Bilbao is the meeting point of the Basque country and the whole world. 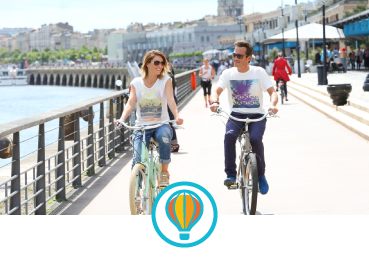 Book your stay in Bilbao now as well as your best activities such as a Basque cooking lesson and enjoy your stay in the Basque country. 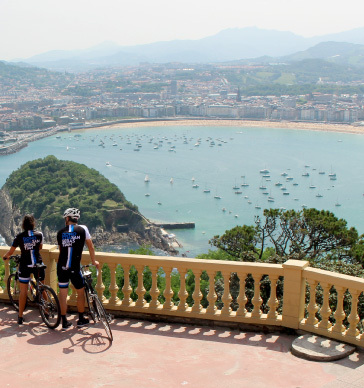 We also recommend the city of San Sebastian; it is about one hour drive from Bilbao. 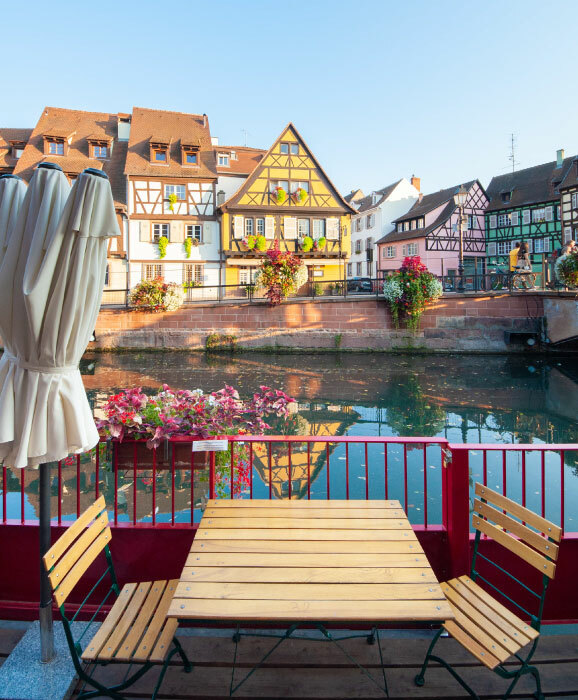 With 32,185 votes Colmar has seduced you ; it is probably one of the most charming, romantic and magical destinations in Europe! 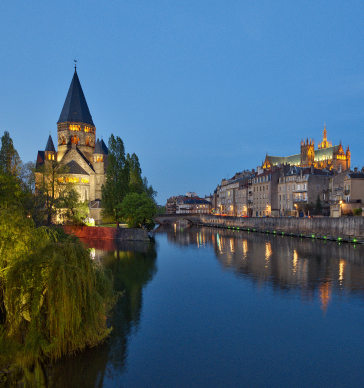 Tens of thousands of you voted for Colmar as one of the first three destinations you would like to discover this year. Colmar really makes travellers from all over the world dream. 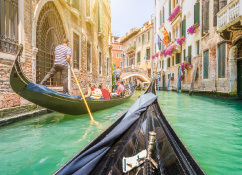 Some who have had the chance to visit it, know the "Petite Venise", the "Quai des Poissoniers", the neighbourhood of tanners, its architecture, gastronomy and charming hotels. 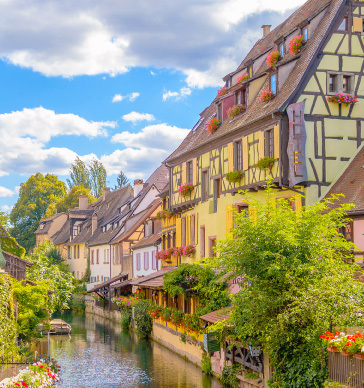 Colmar is perfect for young and old and the Alsace region is one of the most beautiful regions in Europe. Come discover Colmar, its Toy museum, the Unterlinden Museum with works of art from the 12th to the 16th century or The Bartholdi Museum. Did you know that the famous creator of the Statue of Liberty was born in Colmar? 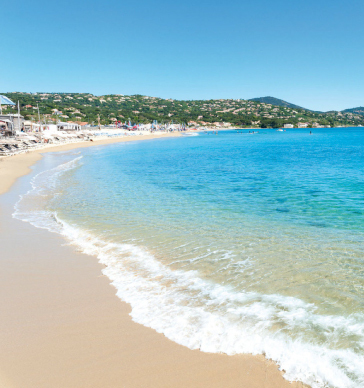 This can be another reason for discovering this beautiful destination, chosen among your favourite ones in Europe! 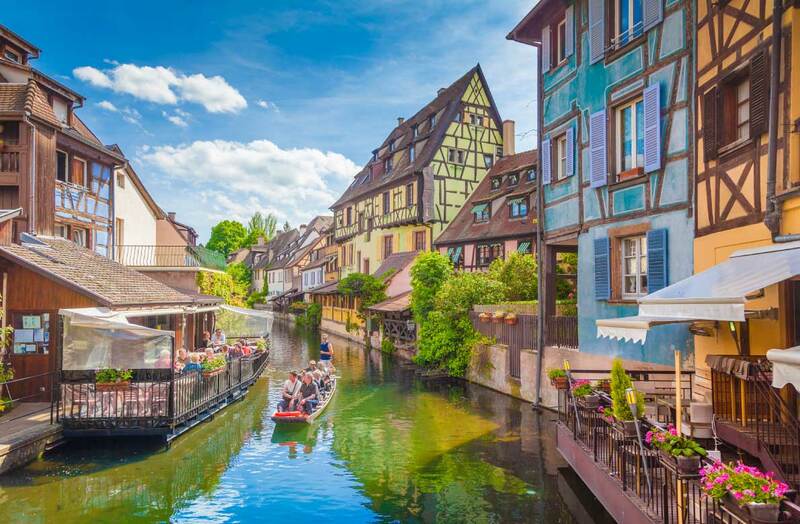 Book your flight to Strasbourg, your stay in Colmar and your best activities such as a this traditional Wine Tasting Tour. 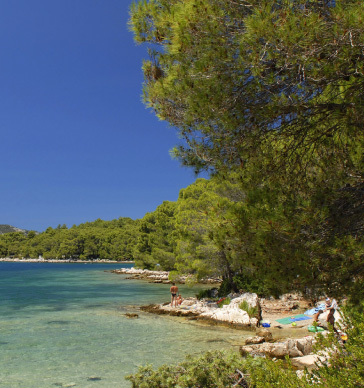 With 30,023 votes, Hvar has just been voted among the best destinations to visit in Europe. Hvar is probably the most beautiful island in Europe. 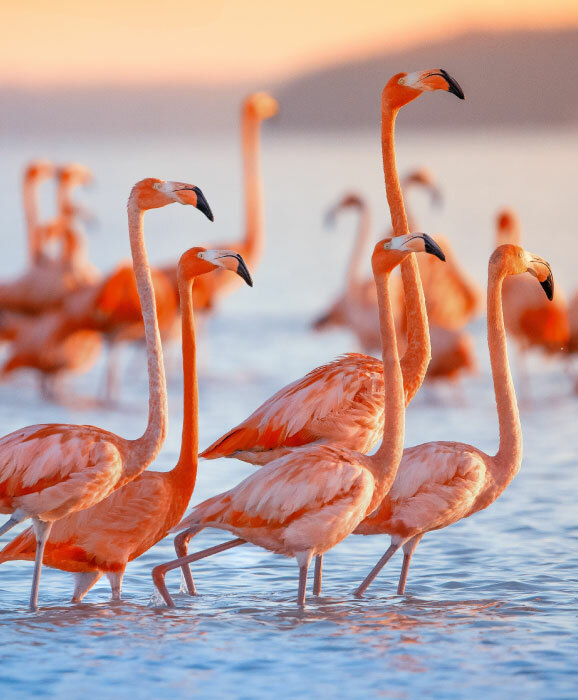 Famous people, crowned heads, artists and travellers from all over the world love it and voted overwhelmingly for this destination that combines quality of life, sumptuous landscapes, crystal clear waters, sun, gastronomy and cultural heritage. 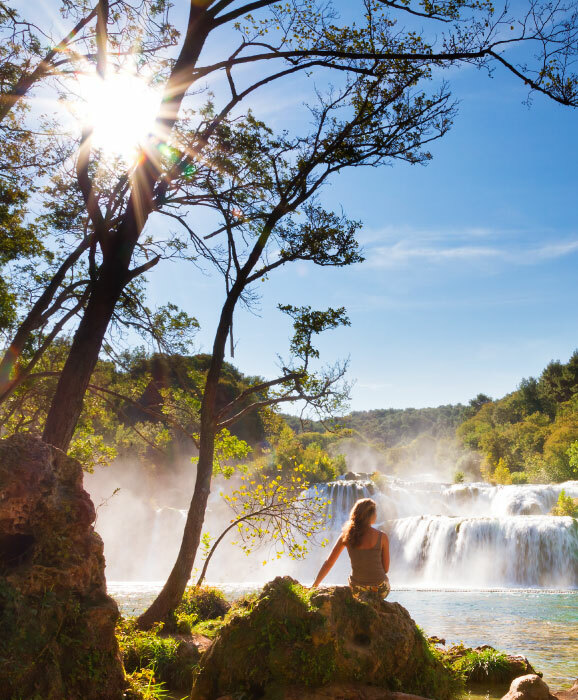 Croatia is a dream destination with cities like Zadar, Dubrovnik, Zagreb, Opatija, Split and Rovinj and dream beaches like the Zlatni Rat beach a few kilometres away from Hvar or Stiniva beach on the island of Vis. 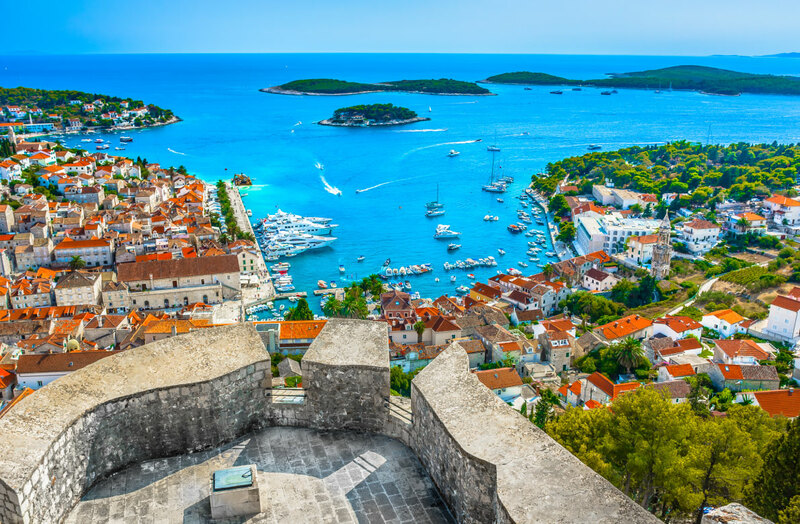 Among the thousands of islands in the country we advise you to discover Hvar and its many treasures such as the fortress of Hvar and the Franciscan monastery. 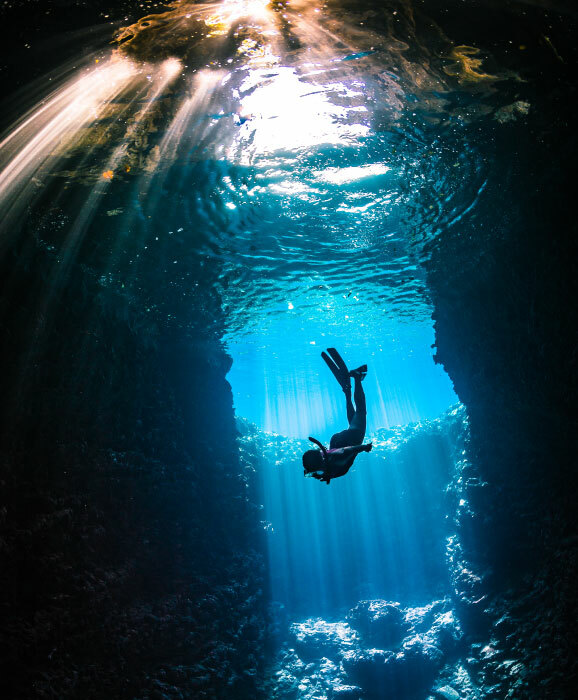 For lovers of crystal clear waters, enjoy a catamaran tour and discover the blue cave. 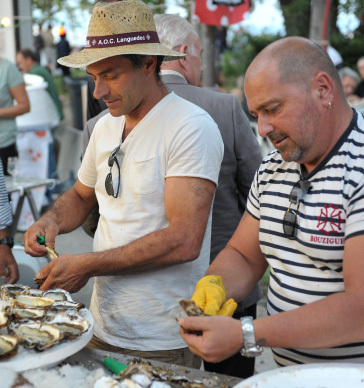 If you prefer gastronomy you will not be disappointed and will enjoy sumptuous local wines and seasonal local products on this Hvar Wine Tour with Dalmatian Dinner. Nature lovers will love walking along the lavender fields in the village of Brusje, on the hills of Stari Grad. 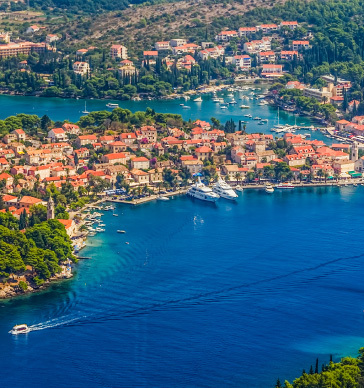 Book your flight to Split, spend a day or two in Split, buy your boat tickets and discover the beauties of Hvar, one of your favourite destinations in Europe! 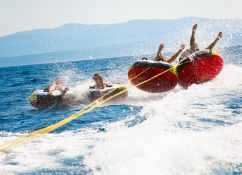 Book your accommodation at the best price guaranteed in Hvar as well as your best activities such as a full-day catamaran cruise. With 29,456 votes, Riga, the capital of Latvia, is for the first time in the top 5 of the trendiest destinations to visit. 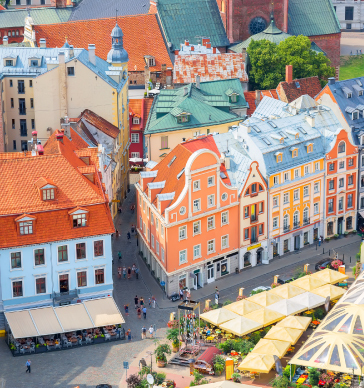 You will be dazzled by the incredible beauty of Riga. This city has always been a crossroads of different cultures. The city is also connected to nature, water and forests. 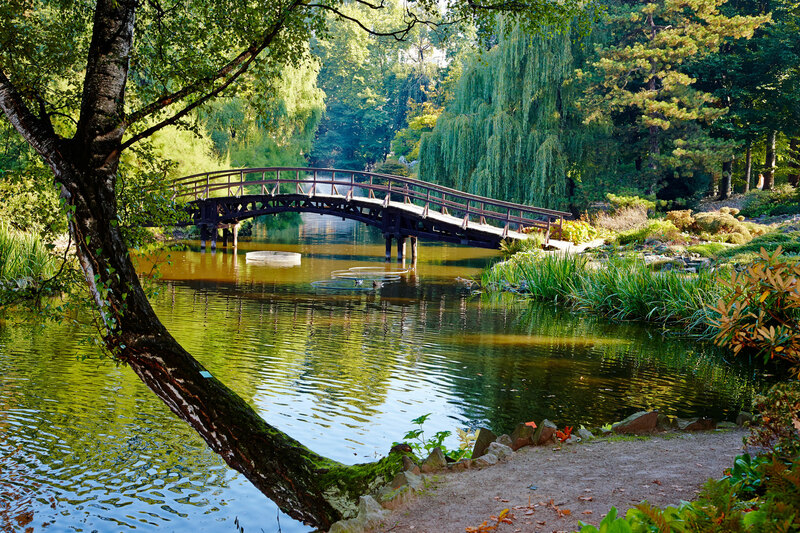 You may not know that Riga has beautiful islands, beaches and hills. Its architecture is stunning too. 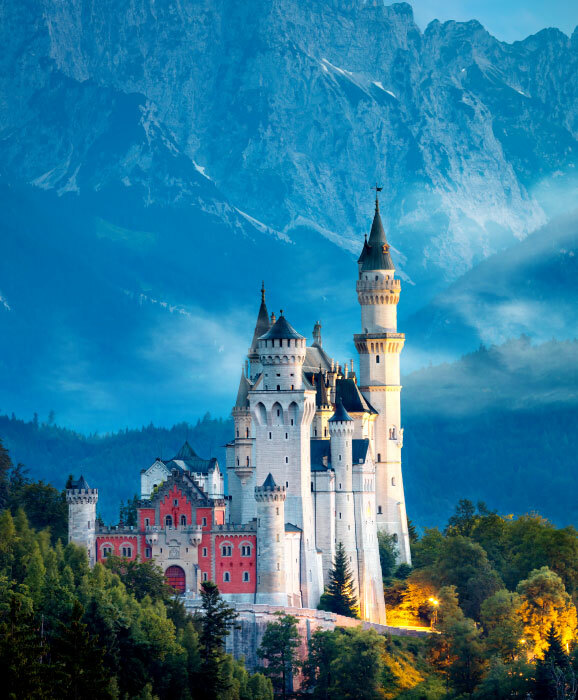 Come discover superb Baroque, Renaissance, Art Deco, Romanesque and romantic buildings. Riga is at the heart of new trends. 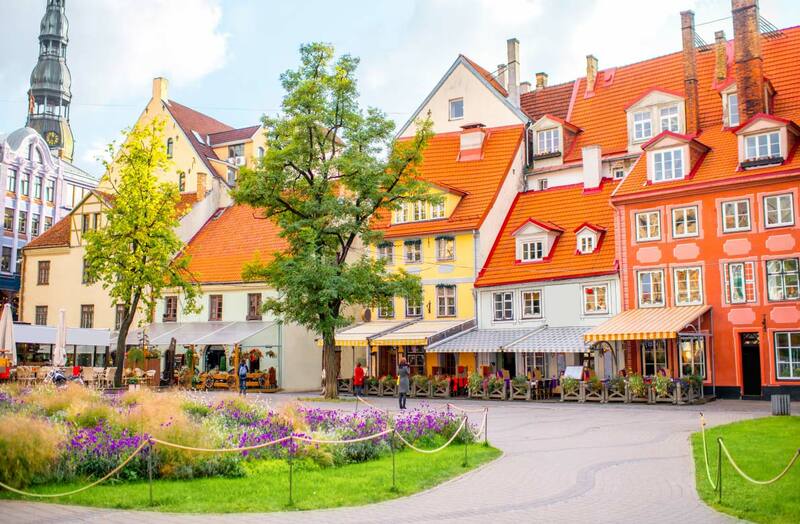 Come discover Riga, book your flight and hotel at the best price guaranteed as well as your best activities such as this Best of Riga Food and Culture Walking Tour. 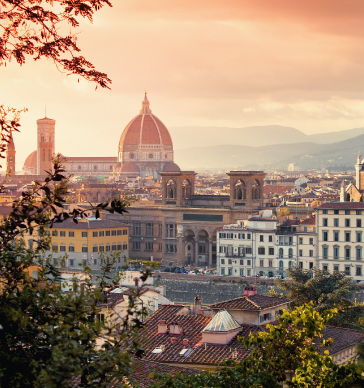 With 27,129 votes, Milan joins this year again the ranking of your favourite destinations in Europe. 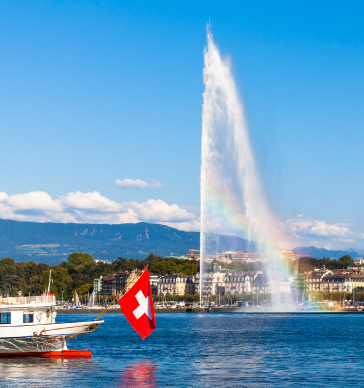 The city has come to be selected among the best European destinations for almost 10 years! Milan has its symbols, including the Duomo with a superb view to the whole city. 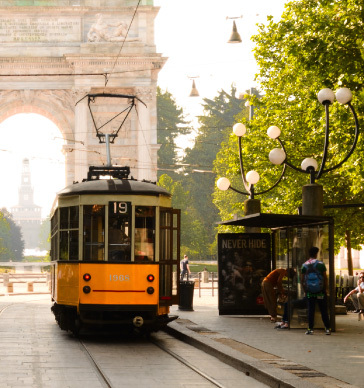 You can go shopping in the Vittorio Emanuele II Gallery and its chic boutiques, have a picnic in one of the many and beautiful parks in Milan or admire the Da Vinci's Last Supper at the Santa Maria delle Grazie Church. Rememeber to book your admission in advance to see this masterpiece as at times queues can be long and you would not like to miss out on this highlight. 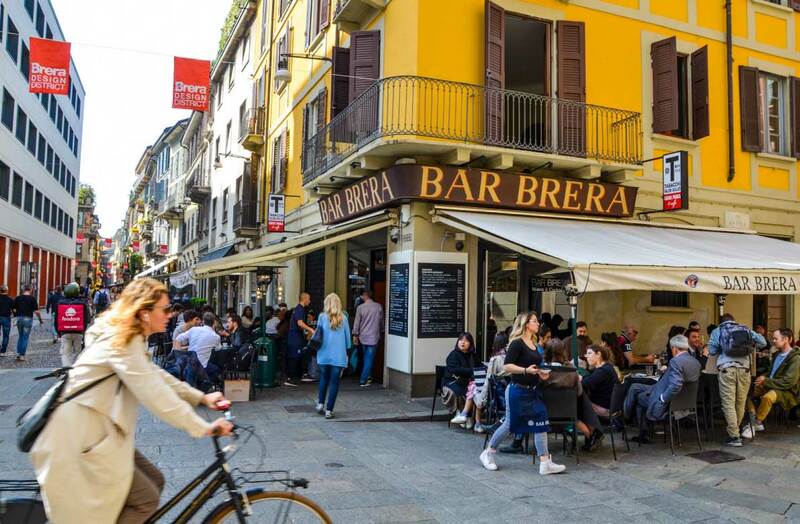 You can go for a drink in the Navigli area in the evening and discover the beautiful canals of Milan, nice and affordable restaurants or enjoy an evening at the famous La Scala Theater. 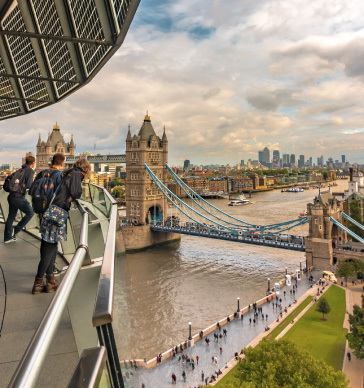 Stroll around, ask your way, meet the inhabitants, look up and discover an incredible architecture, you will love this city which, undoubtedly could have won the competition. Book your best activities in Milan as well as your hotel at the best price in a dazzling and welcoming city. 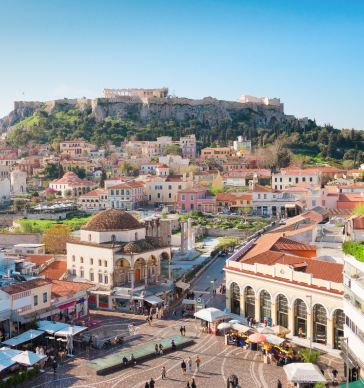 With 19,424 votes, Athens remains like Milan an unmissable destination. 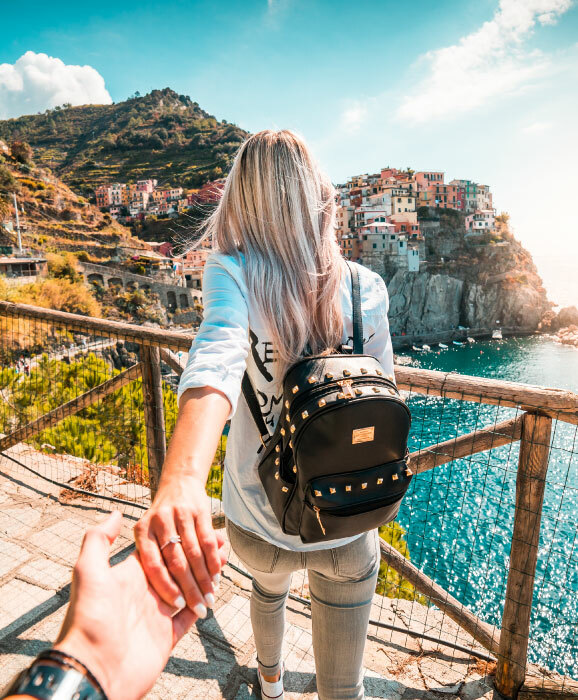 It is in the top 10 destinations every year and all year through it attracts European travellers in search of their roots but also travellers from all over the world. 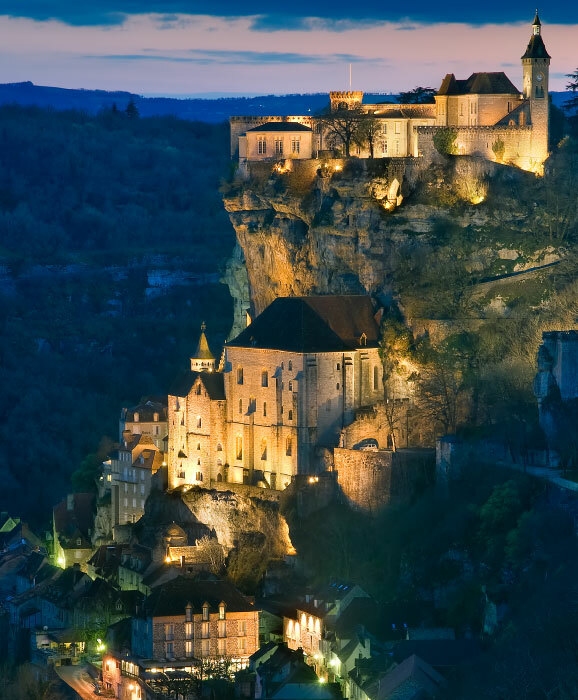 The city is historic and is the cradle of European philosophy. 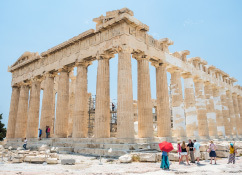 Athens is both steeped in history and focused on modernity and tomorrow’s cultural and economic issues. 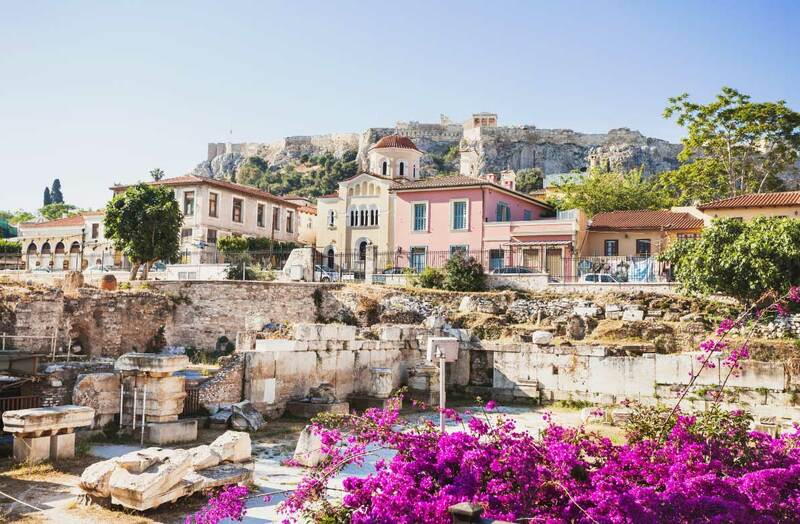 Travellers love its architecture, the district of Plaka, monuments, gastronomy, trendy shops but also its nightlife; its proximity to the sea (15 minutes away from downtown) makes it very attractive too. Most travellers appreciate the inhabitants of Athens who share, heart on hand, their gastronomical and touristic treasures. 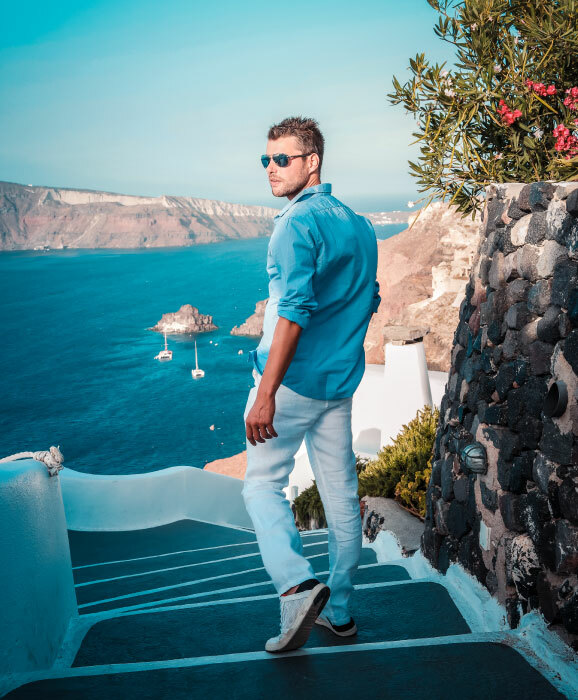 Book your flight and hotel at the best price guaranteed as well as your best activities in Athens such as a full-day trip to Meteora by train. 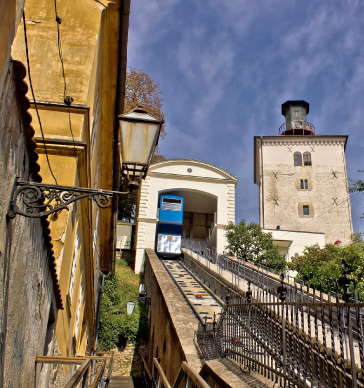 With 17,745 votes, Budapest is awarded among the trendiest destinations to visit this year! 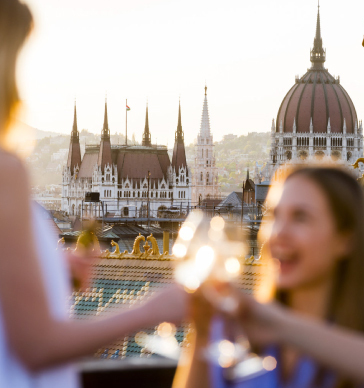 Budapest is a perfect destination for friends, young couples or long-time lovers, lovers of history, culture, museums but also nightlife shopping. Creators from around the world, the greatest directors but also designers, musicians, are inspired by Budapest. Indulge yourself and book your admission to one of Budapest's most famous spas, the Széchenyi Spa. 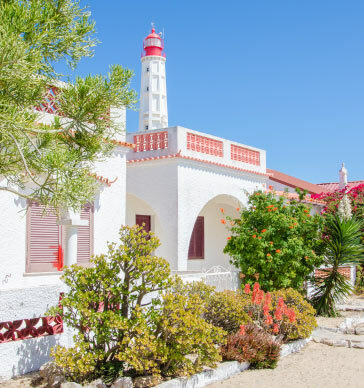 It is recommended to book your admission in advance as in popular times it can get busy. 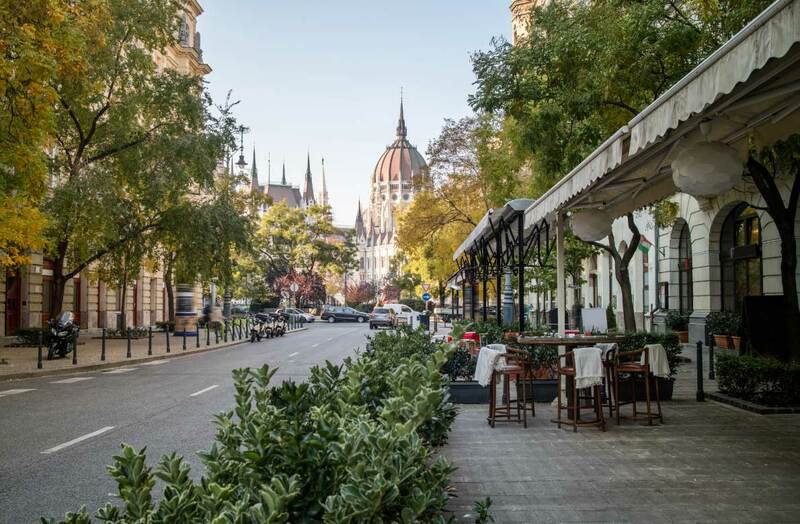 Those who want to treat themselves with a getaway in a city choose Budapest. 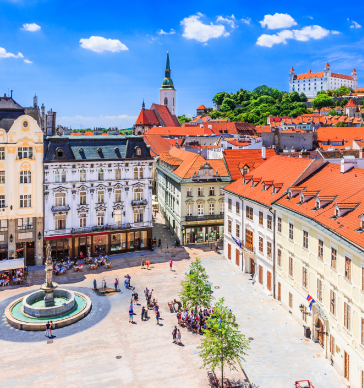 It is one of the most beautiful cities in the world, a city where the most famous monuments meet such as Buda Castle, The Parliament, The Chain Bridge, Margaret Island, The Spas of Budapest, and an endless list of beautiful alleys and facades, atypical shops or bars, churches, parks. 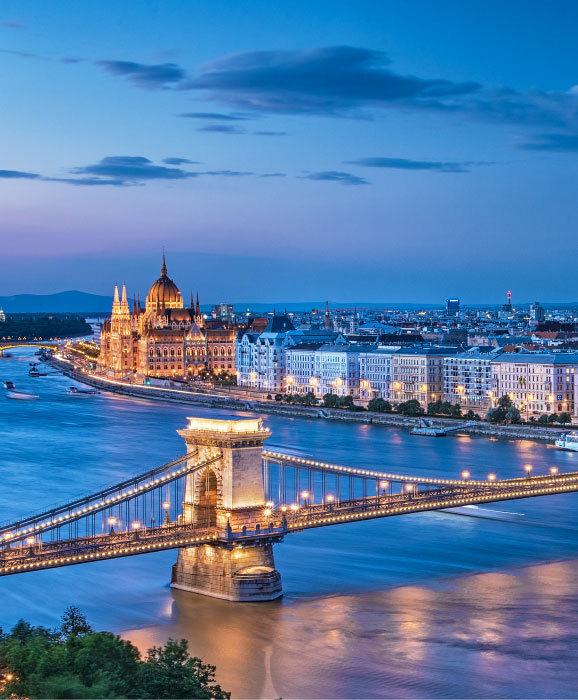 Treat yourself to an unforgettable holiday by booking your flight and hotel at the best price guaranteed in Budapest as well as original guided tours. 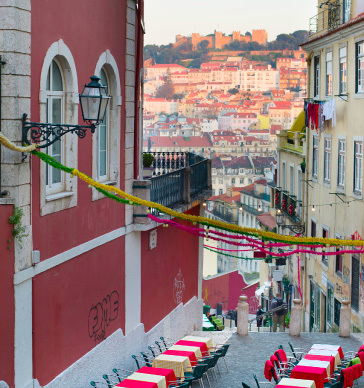 With 13,384 votes, Lisbon, the capital of Portugal is a unique destination in the world. Portugal today welcomes a bigger number of travellers than the number of its inhabitants and it is no coincidence: the whole country is dotted with sublime landscapes, incredible cities, dazzling architecture, sumptuous monuments, palaces, castles, medieval villages, sandy beaches, surf beaches, beaches dedicated to idleness... Lisbon, the capital, welcomes lots of travellers every year who come to discover a city with a soul, a city to be discovered on foot or by eletrico. 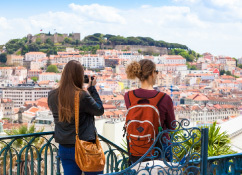 Lisbon has been a major destination in Europe for many years and was the first city to be awarded "European Best Destination" in 2010. 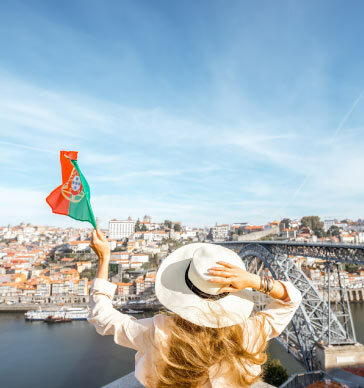 Lisbon is a destination that travellers discover or keep on discovering; it is and will remain a superb getaway for those who have had a crush for Portugal. 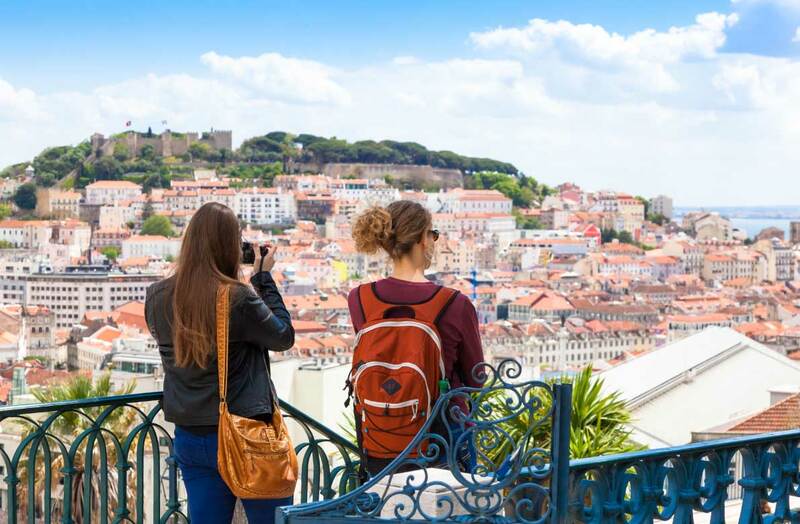 Lisbon is surrounded by tourist jewels like Sintra, Estoril, Cascais but also the natural park of Arrabida and it is only two hours by train from the lovely city of Porto. 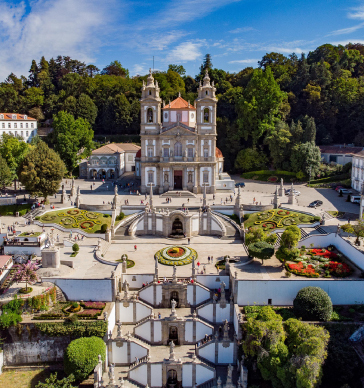 Stay 4 days in Lisbon and book your flight to Madeira or the Azores: you will travel from Lisbon's Castelo Sao Jorge to the Lagoa do Fogo of Sao Miguel Island or the volcanic pool of Porto Moniz in just a few hours! 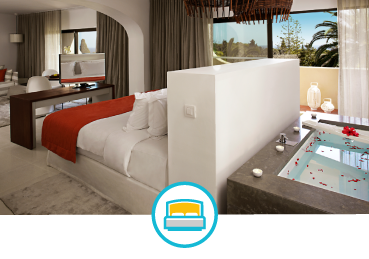 Book your flight, your hotel and your best activities for a dream holiday in Portugal. Bohinj is ranked among the best European destinations to discover this year. 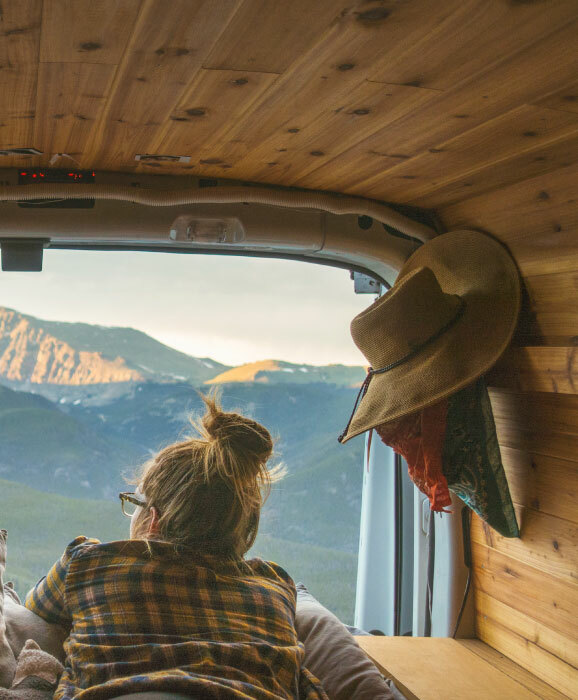 You are more and more numerous to discover Slovenia, every year ; the country evokes nature, forest, lakes, authenticity, outdoor activities and encourages you to recharge your batteries, disconnecting from routine. 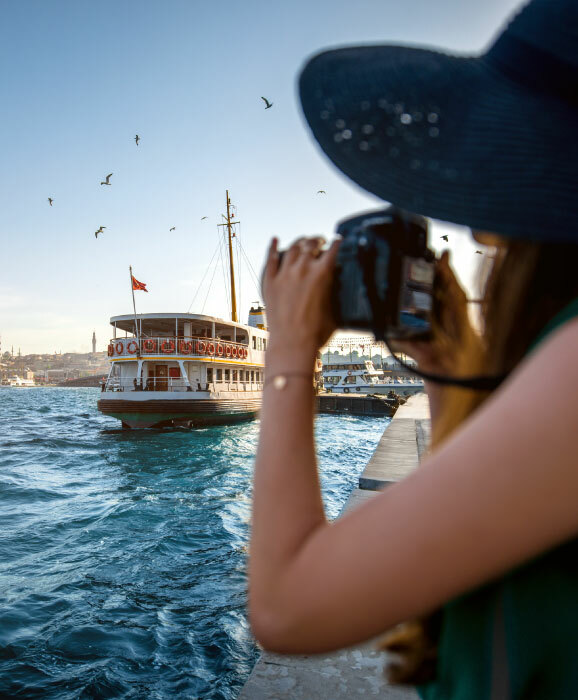 This year again you have decided to place a sustainable tourism destination in your ranking of the best destinations in Europe. 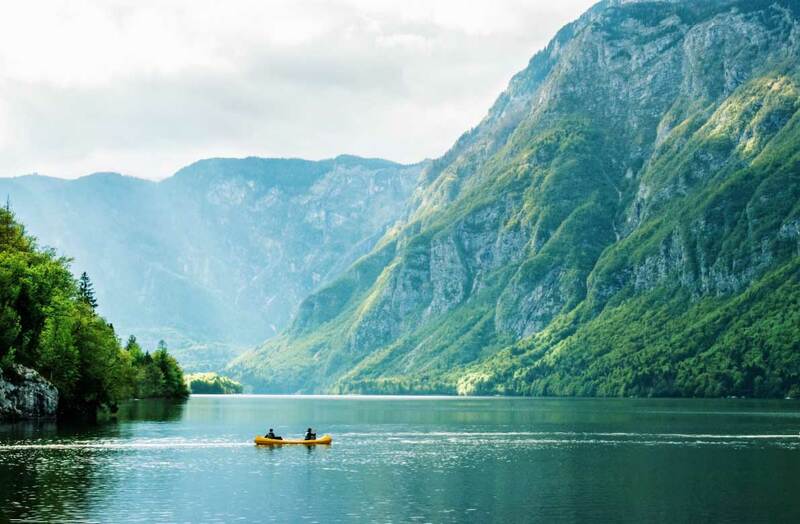 Bohinj is awarded by the European Commission for the quality of its tourist offer and respect for nature and its sustainable tourism. 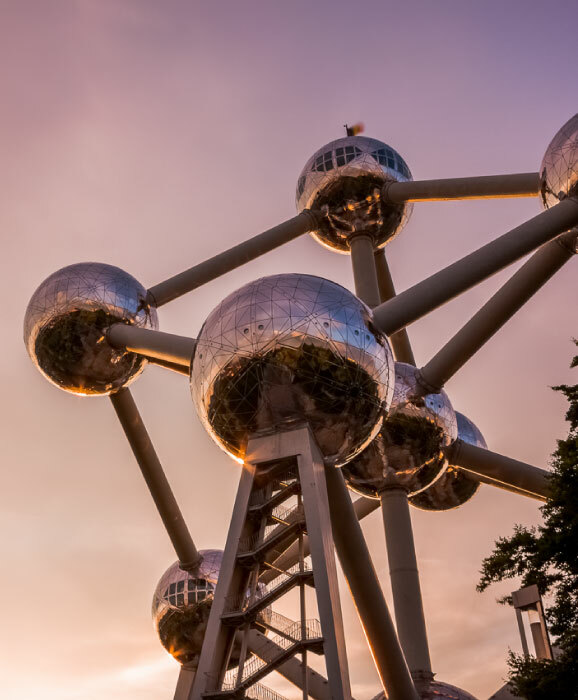 It is an emblematic destination of the EDEN network that gathers the most beautiful destinations of sustainable tourism in Europe. 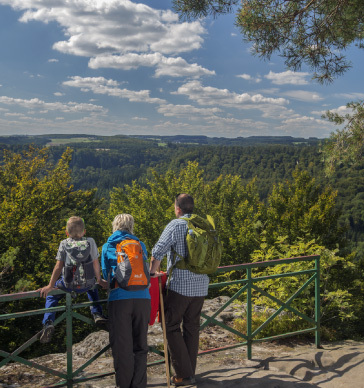 Enjoy the quietness of nature and the everchanging landscapes. Clouds are above you sometimes and sometimes you are above them. Enjoy the International Festival of Wildflowers, the Savica Waterfall, (78 meters high), taste local products and enjoy the beauty of the Julian alps. 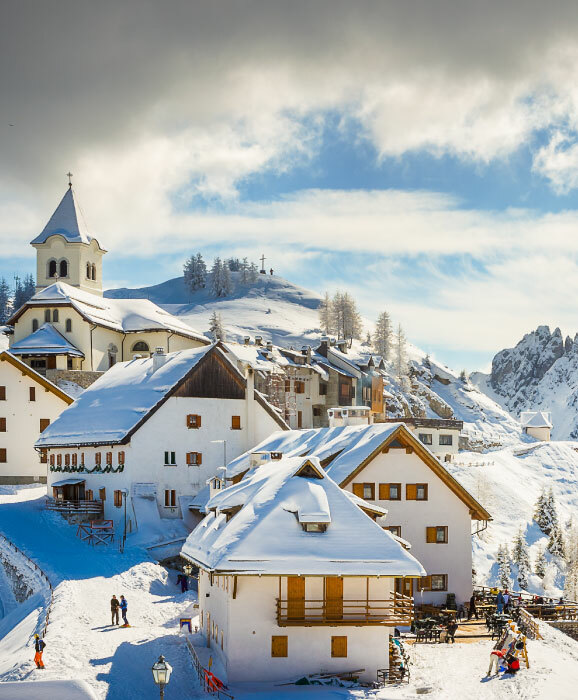 Come discover this destination which has just been selected by travellers from around the world as one of the most beautiful destinations in Europe. 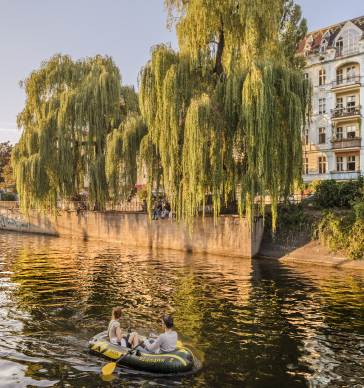 Prague is again this year in the ranking of the best European destinations. 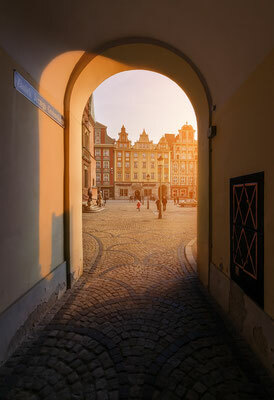 Prague is not a hidden treasure; travellers from around the world have loved this beautiful city for many years now. It is, as to you, one of the most beautiful cities in the world. UNESCO seems to agree with that as the whole historical centre of Prague is a World Heritage area. Prague will seduce you, whether you are attracted by palaces, cathedrals, castles or by Kafka who has marked the history of literature. 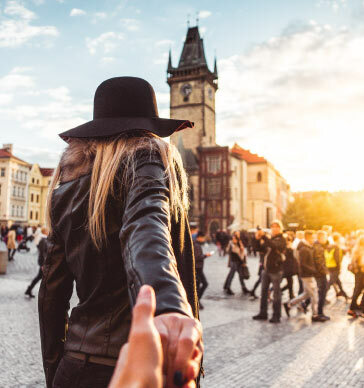 Prague is also a city for lovers who kiss on the Charles Bridge but also a perfect city for friends who love shopping and strolling in the streets of Prague to discover its nightlife. Make up your mind soon! 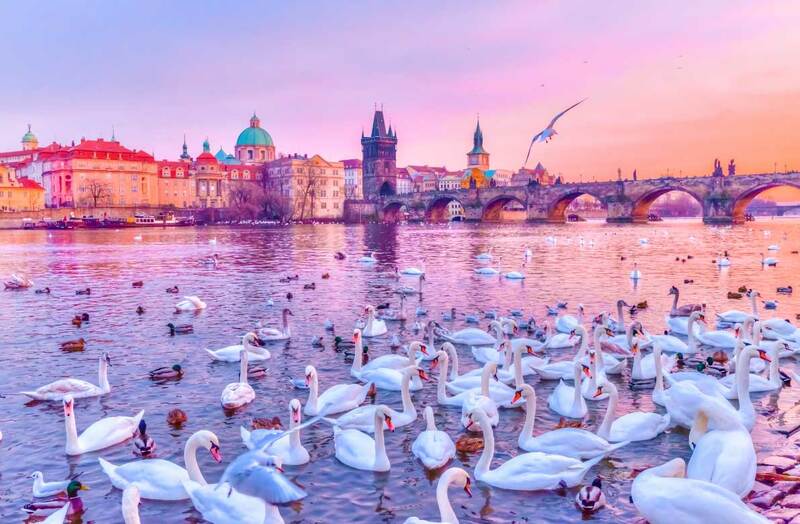 Plan your dream trip in Prague and discover one of the most beautiful cities in Europe. The city is also nice to admire during a cruise on the Vltava river, passing by the historic monuments illuminated after dark, such as Prague Castle and the Dancing House on the Rašínovo embankment. 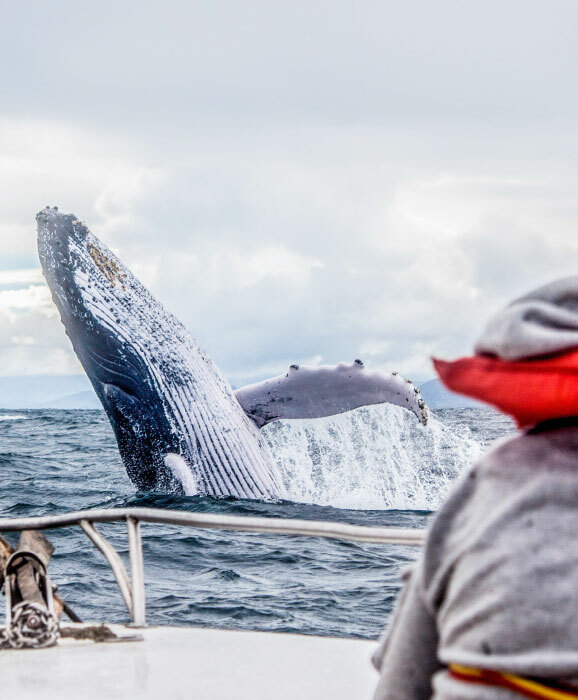 Book your flight, your hotel at the best price guaranteed and your activities such as a 3-hour dinner cruise. 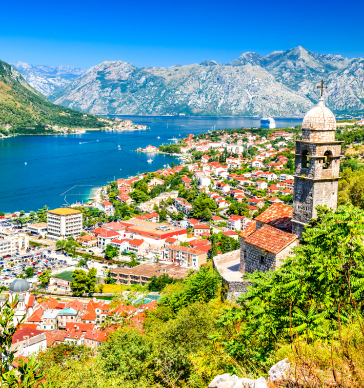 Kotor is the dream destination for travellers from all over the world. 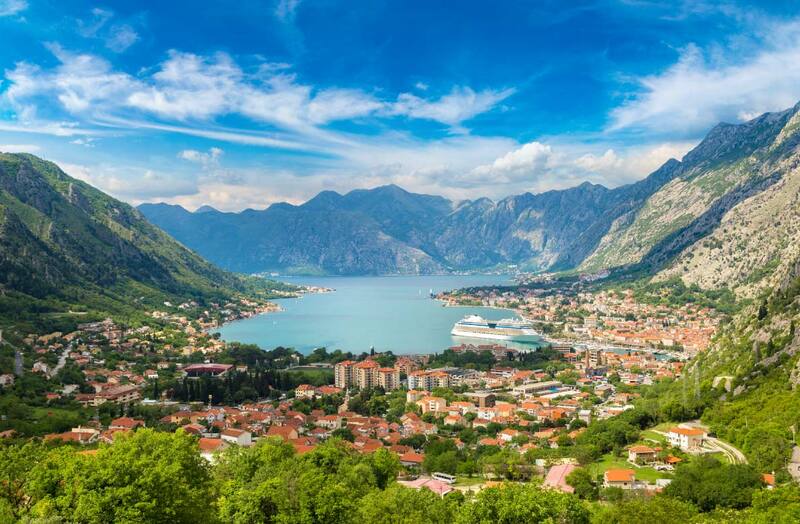 Montenegro is authentic, unique and wild: the landscapes are breathtaking, the cities and villages stunning. Kotor is certainly the most beautiful city in the country. 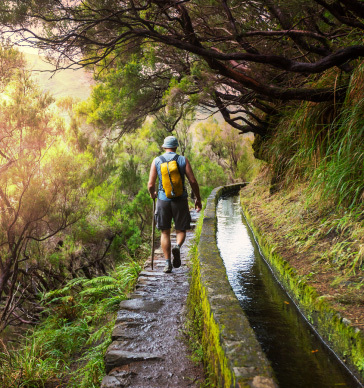 Every year this destination is listed by travel professionals as one of the best destinations in the world. Kotor has a sublime bay, a historic centre: you will love the place. 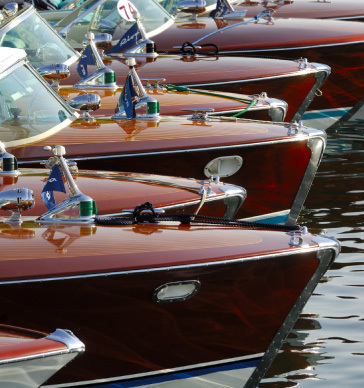 Discover Kotor during its International Summer Carnival with its carrnival troupes from all over Europe or in August and enjoy its famous "costumed boats parade" that makes the Bay of Kotor even more beautiful. 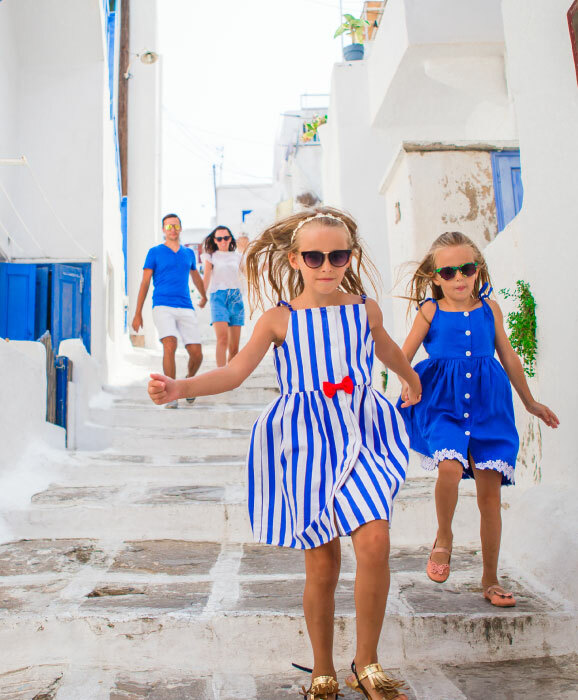 If you are staying in Kotor this summer you can also enjoy the Kotor Festival of Children's theatre or the International Fashion Show, the Sera Rock Festival, ... Kotor is a dynamic city that will please the whole family. 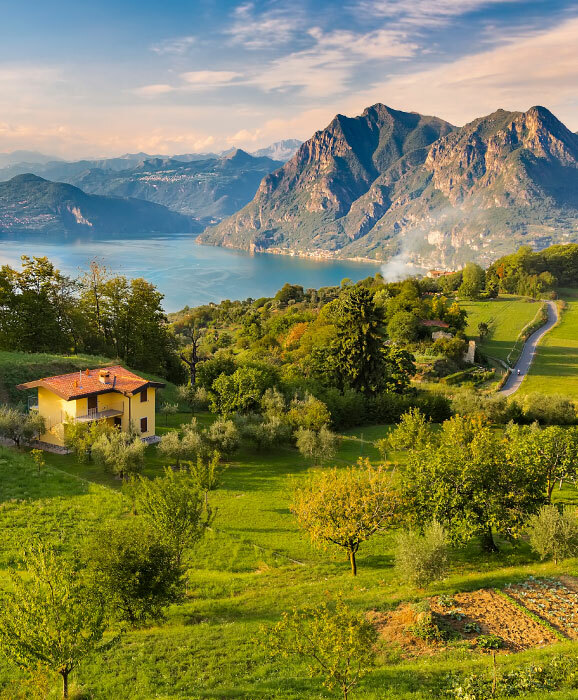 The gastronomy is fine, the landscapes are breathtaking. 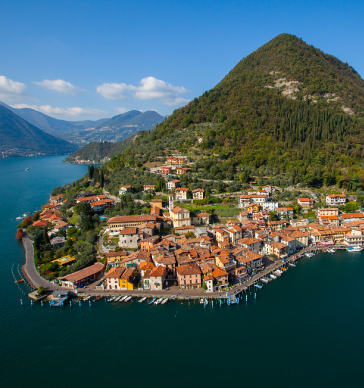 Kotor is the destination to discover this year! For lovers of history, monuments, landscapes, sun, gastronomy, for lovers of travel and discovery we advise you to book your flight and accommodation at the best price in Kotor as well as your best activities. 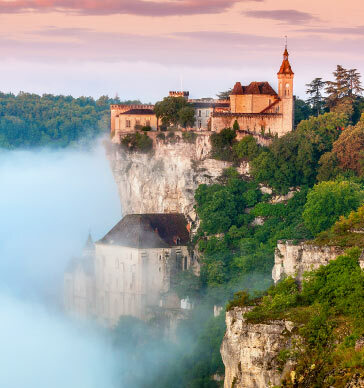 One of the most beautiful destinations in Europe is awaiting you! 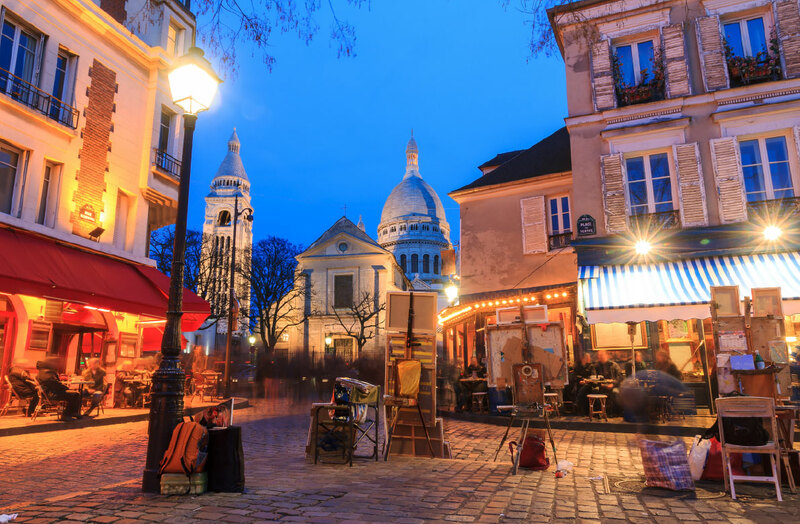 Paris is one of the cities you want to discover this year. 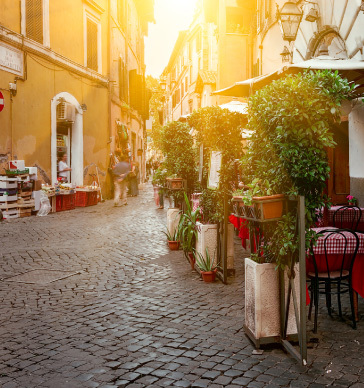 You have already been hundreds of millions to have discovered the sumptuous monuments, museums, but also the streets, alleys, shops of this open air museum. 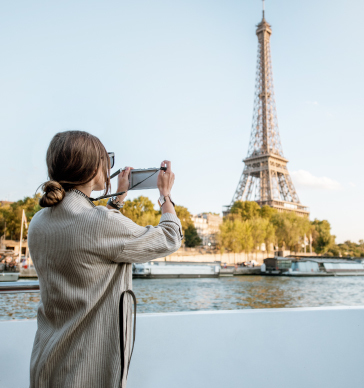 Paris is not only a collection of monuments, works of art, it is not only a succession of the most beautiful museums in the world, it is also a lively, daring city, a city that is getting greener and greener and more and more pleasant to stay in. Paris is synonymous of culture, haute couture, shopping, gastronomy. Paris also has beautiful parks and pedestrian quays, the Canal Saint-Martin, walks as "La Coulée verte de Renée-Dumont" in the 12th district or in the 'Parc des Tuileries'. Paris also has numerous luxurious hotels like the Plaza Athénée Rue Montaigne in the 8th district or young, trendy and affordable ones like the Mama Shelter. « Your » Paris may not be the Paris of your neighbour, but nevertheless "Paris will always be Paris". 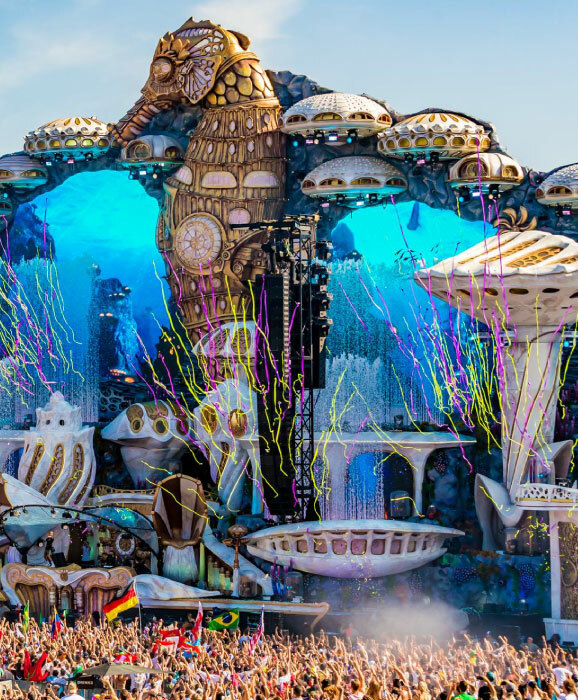 Book your flight, your hotel at the best price guaranteed as well as your activities such as the Moulin Rouge Show (you will be offered a glass of champagne) or a one day ticket to Disneyland Paris. 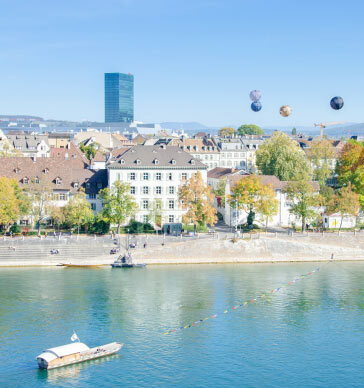 Vienna is undoubtedly one of the favourite destinations of European travellers as it is one more time ranked among the 15 most beautiful European destinations. 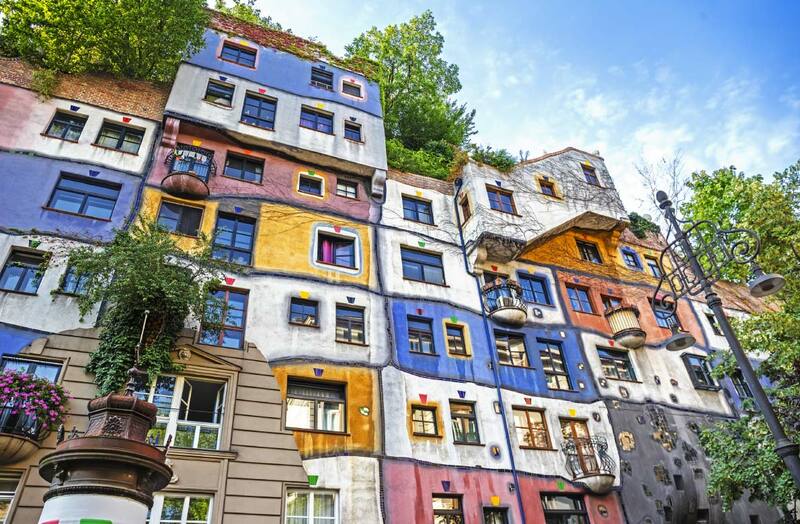 There are thousands of reasons to love Vienna: its culture, monuments, palaces and music, walks , waltzes , the "Prater" a sublime theme park (open from March to October). Vienna is an open, tolerant and gay-friendly city. It is a city for friends, lovers, lonely travellers, photo enthusiasts, lovers of Christmas atmospheres (do not miss the sublime Vienna Christmas market voted among the most beautiful Christmas markets in Europe). Vienna is magical, you can visit it at any time of the year. 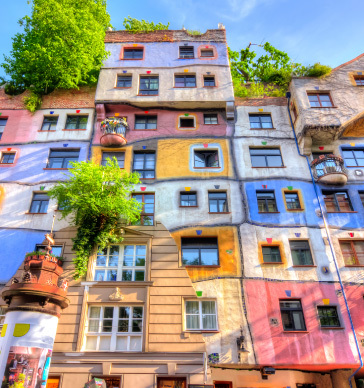 The charm of Vienna always operates because there is always something to do and see in Vienna. 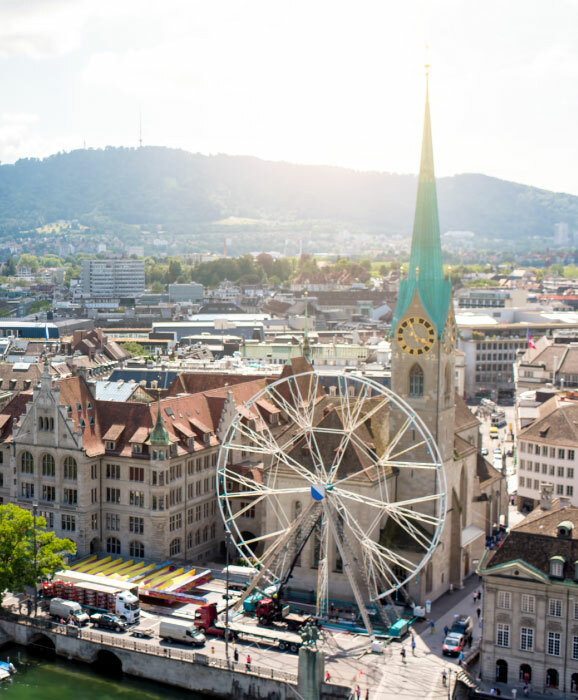 Book your flight at the best price guaranteed as well as your hotel, B&B, apartment, guesthouse and your best activities such as a ticket for a Mozart & Strauss concert in Kursalon Vienna or a ticket for a Giant ferris wheel ride. Amsterdam is for sure one of your favourite destinations in Europe. 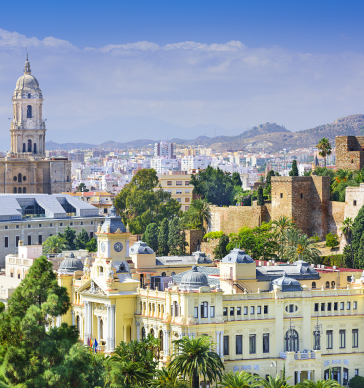 This city has been attracting travellers from around the world for decades. 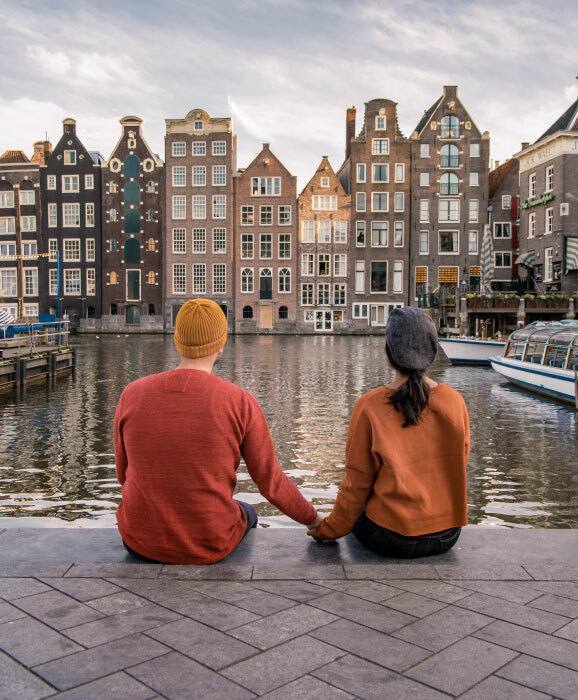 Why is Amsterdam so successful? 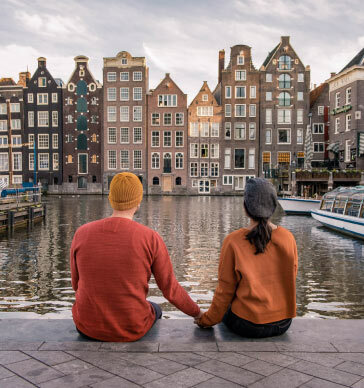 Is it thanks to its romantic channels or its openmindedness - Amsterdam organizes one of the best gay-prides in Europe - or is it due to its trendy stores, innovative hotels, or the fact that the Dutch people are very welcoming and environment friendly people? Amsterdam is and remains a laboratory for the city of tomorrow. The Dutch people are great travellers too and they know how to welcome you with open arms and share the beauties of their city. 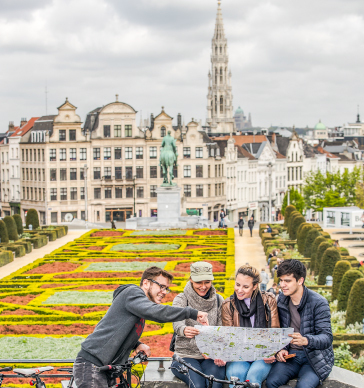 Book your flight and your hotel at the best price guaranteed as well as your best activities in Amsterdam such as a visit to the Van Gogh Museum or a unique Heineken experience in a former brewery.